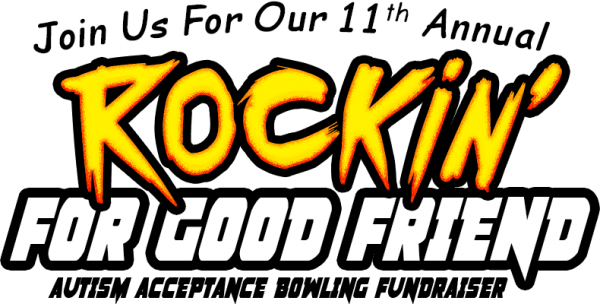 From our “Rockin’ for Good Friend” (#Rockin4GF) event name to our prize categories, you’ll notice the rock theme everywhere – even before we hit the lanes at Village Bowl! Each team has 4-6 members, one of whom must be at least 21 years old. Note that teams will have two hours to bowl two games, so plan accordingly to ensure all members have time to bowl. Teams will be recognized by their team names, and bowlers by their full names (unless you indicate otherwise during registration). Registration fee is $150 and includes two games, shoe rental, and soft drinks. Check out their "why" videos on our Facebook page! One team will receive a Top Fundraiser prize! We are challenging each bowler to raise at least $100 in pledges BEFORE April 28! Watch our Facebook event page for ideas on how. 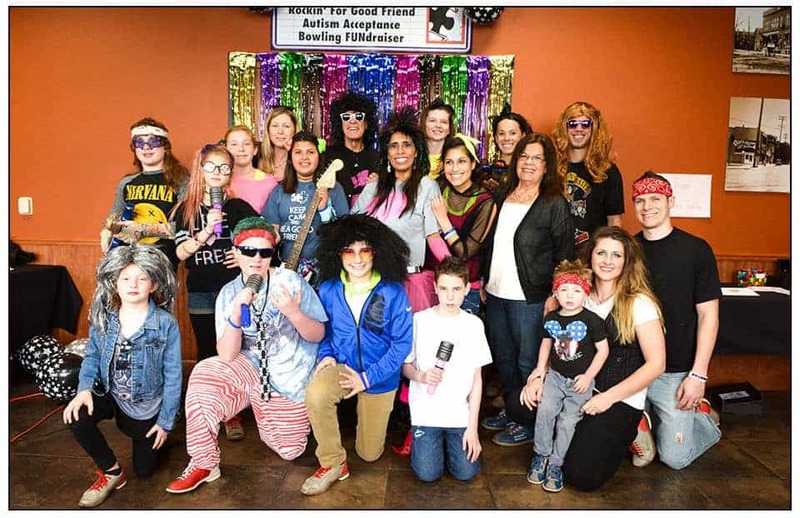 In addition to a good time at Village Bowl, participants can expect a raffle unique to their session, with grand prizes that are chosen at the end of the event day; photographers taking team (printed onsite) and candid pictures; and a full food and beverage menu to order from. Help us reach our goal of $30K ! Not so sure you want to register your team online? Download this registration form, complete it, and mail it in with your check for $150 made payable to Good Friend, Inc. If you have a color printer, print this out and put it in your coffee shop, place of worship, break room, or on the employee bulletin board. Be sure to write your name on it so people have a go-to person nearby! Spread the word to potential donors with this flyer. Also makes a great church bulletin or envelope stuffer! Collect pledges and track them on this sheet, which is to be turned in at registration on event day. Be a commUNITY partner in support of Autism Acceptance and sponsor this FUNdraiser! Opportunities from $1,500 to $250. Session sponsorships get GF Connections promo videos! A great way to connect your business to a cause!